The Virginia General Assembly approved an amendment to the upcoming budget essentially thwarting an effort by former New York City mayor Michael Bloomberg that funded the salary of an environmental lawyer placed in the state's attorney general's office. According to one of the documents detailing the effort by the former New York City mayor, the attorney's primary purpose was to advance "progressive clean energy, climate change, and environmental legal positions." 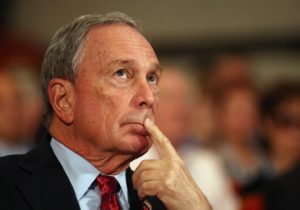 The inner workings of Bloomberg's multi-state scheme came to light last August when Chris Horner, a senior fellow at the Competitive Enterprise Institute in Washington, published a lengthy exposé showing similar attorneys placed in other AG offices around the country were not paid with state funds, but by a specially created "State Impacts" center at the New York University School of Law funded by Bloomberg. Horner argued Bloomberg was effectively creating his own "mercenary" legal task force that had the additional advantage of being backed by the power of the state. Attorney general offices (OAGs) that are participating in the program have countered that they have full control and discretion over the work the Bloomberg attorneys are performing, and are claiming that fact made the program legal and free from any ethical conflicts. Lawmakers in Virginia appeared to disagree with the OAG rationale. "The sole source of compensation paid to employees of the Office of the Attorney General for performing legal services on behalf of the Commonwealth shall be from the appropriations provided under this act," the amendment read. The Virginia Attorney General's office did not respond to a request for comment. "That this vote by the General Assembly was even necessary is itself incredible given that not one, but four provisions of the Virginia Code already prohibit this unprecedented arrangement—as we are arguing in ongoing litigation against [Attorney General Mark] Herring's office for documents related to this scheme," Horner told the Washington Free Beacon by email. "Sunday's vote is a statement from Virginia's elected representatives that Bloomberg's money can't buy a donor's way into Virginia law enforcement. We applaud this vote while wondering, what's wrong with the rest of these legislatures?" In many cases, OAGs can accept additional legal help from attorneys outside the office but usually under tight restrictions in order to maintain an ethical balance. Horner argued that because the Bloomberg attorneys were paid for by an openly activist source rather than monies allocated by the respective legislative bodies, the Bloomberg scheme effectively outsourced some of the authority of a public law enforcement office, labeling the whole effort "Law Enforcement for Rent." Last September, the Free Beacon published a memo created by the legal counsel to the Oregon State Legislature that argued accepting an attorney paid by an outside source was either partially or completely contrary to Oregon law. However, the memo was only an advisory opinion, and did not carry any legal force. Other documents previously obtained by Horner using open records laws showed that the Oregon Department of Justice (a state authority, not federal) struggled with the labeling of their Bloomberg attorney precisely because of the funding situation. "Are we sure it is correct to refer to him as a ‘volunteer.' And not an employee," Oregon Attorney General Ellen Rosenblum asked in an email to office colleagues. "Can you be an unpaid employee of the State? As a [Special Assistant Attorney General] doesn't that make one an employee? I find it strange to call someone who is working under our supervision with the title of SAAG and who is getting paid (by a third party) the same as he would if he were working for DOJ as a regular AAG—a volunteer." When presented with that documentation, Rosenblum defended the arrangement in an email to the Free Beacon last August. Horner, meanwhile, has open records litigation pending in D.C., Virginia, and Maryland as he seeks more government documents related to the overall Bloomberg effort.